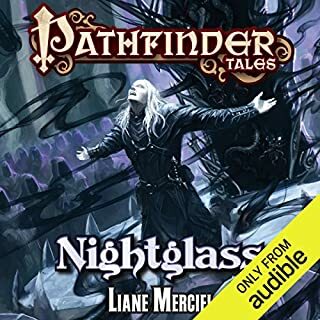 What begins as a trip to unlock the secrets of famed healing springs transforms into far more when Alaeron, an alchemist and explorer, learns of a tomb full of ancient relics and wealth. There's only one problem - the other would-be tomb robbers got there first. Can Alaeron talk his way to treasure, or would he have been better off staying in the healing pools? 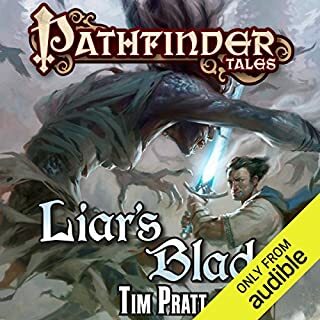 ©2012 Paizo Publishing, LLC (P)2015 Audible, Inc. Loved the story and the back story all in one. All the lands traveled each unique and Pathfinder true. I look forward to the next book in the series. A nerdy alchemist on a long journey. Loved the characters as well as the story. 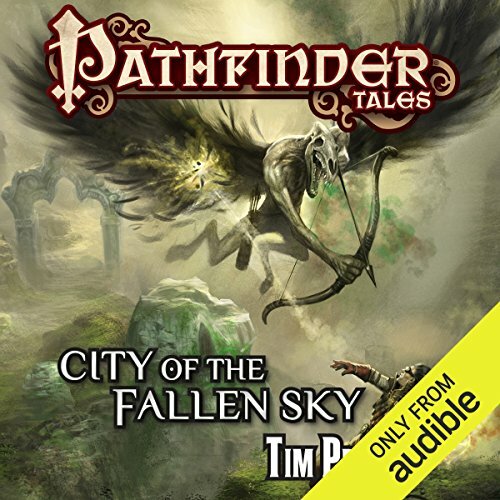 I wasn't familiar with the Pathfinder universe before this and found "City of the Fallen Sky" a good jumping on point. I liked that the main character wasn't some overpowered hero. It's a pretty standard story of unlikely companions going on a journey, facing challenges and danger, and becoming friends (sort of) along the way. The magic and world and characters are interesting. It's all basic fantasy genre tropes but they're done well enough not to feel cliche. Some aspects are genuinely intriguing and made me want to know more. I got more invested than I expected to be and was satisfied with how it all played out. a wonderful adventure with complex characters. 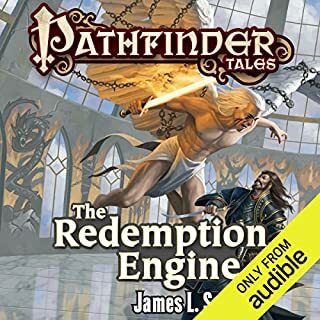 for any lover of pathfinder or dungeons and dragons this is a great adventure story. A good story. Good characters, good narrative. I loved how it ended. Only the political correct aspects kept this book from 5 stars. Developed characters, and a engrossing story that is above your basic fantasy tropes. 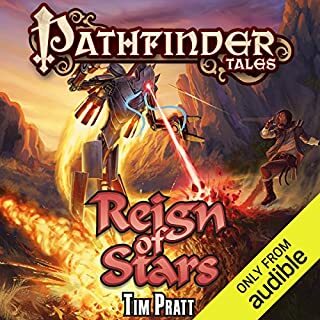 pathfinder tales delivers again! I wish Victor Bevine narrated all books. He always portrays the characters smoothly and gives their dialogue a natural flowing essence. 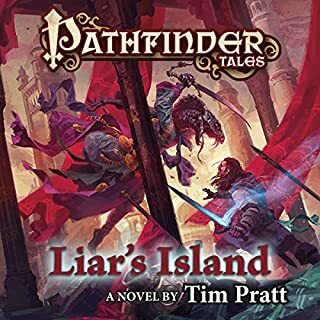 This story leans heavily on the Pathfinder rules, so it will feel very familiar to players. As a story, it is absolutely made by one character: Skiver. I won't give anything away, but from beginning to end he is a standout member of the cast. Also, Tim Pratt used leukodaemons, which is a low blow. 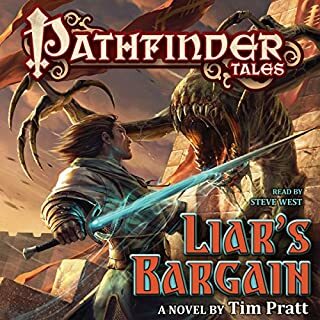 They're one of my favourite Pathfinder monsters, and putting one on the cover was an irresistible lure for me. A tiresome tale of Alchemist 'teh worst'. Alchemist: I'm so smart. why won't the okay looking girl i saved love me? The main char gets tiresome within the first chapter, and the story doesn't make up for that until the conclusion.